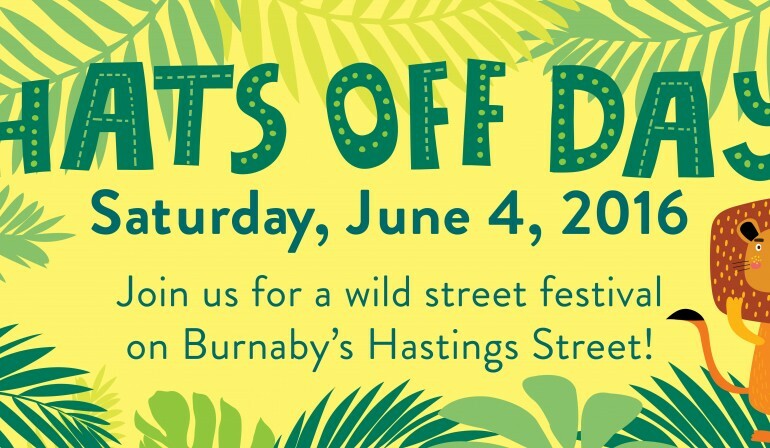 Strive will be participating in Hats Off Day this Saturday, June 4th in Burnaby! Come explore a trove of Jungle Fever themed delights! Come visit the Strive tent between 8 a.m. and 4 p.m. in the Community Zone, on the 3800 block of Hastings Street, between Ingleton Avenue and Esmond Avenue. The Community Zone hosts 20 selected non-profit groups and organizations, all offering an array of activities for the whole family. Get wild at our thrilling jungle booth! We’re proud to present two prize wheels, face painting, colouring, and plenty of unique prizes. This is an incredible free event and parade in the Burnaby community, definitely not to be missed. For more information on Hats Off Day click here.